How to cope when the world overwhelms you. and find they are quickly overwhelmed by noise and confusion, crowded parties, hectic office life…………. this is the book to help them understand themselves and how best to cope in various situations. Highly sensitive people are often very bright and creative but many suffer from low self esteem. They are not ‘neurotics’ as they have been labelled for so long. However, high sensitivity can lead them to cease to engage with the outside world. The book offers solutions for a happy and fulfilling life. Particularly in the way an HSP perceives his or herself: the book helps to ‘reframe’ past events, such as a difficult childhood, or how they see themselves – ie. shy. Particularly strong material for those raising a sensitive child. Echoes from the past? And how about this well-meaning warning: "You're just too sensitive for your own good." If you were like me, you heard a lot of that, and it made you feel there must be something very different about you. I was convinced that I had a fatal flaw that I had to hide and that doomed me to a second-rate life. I thought there was something wrong with me. In fact, there is something very right with you and me. 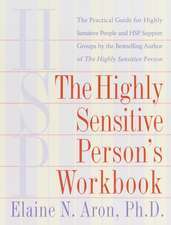 If you answer true to fourteen or more of the questions on the self-test at the end of this preface, or if the detailed description in chapter 1 seems to fit you (really the best test), then you are a very special type of human being, a highly sensitive person--which hereafter we'll call an HSP. And this book is just for you. Having a sensitive nervous system is normal, a basically neutral trait. You probably inherited it. It occurs in about 15-20 percent of the population. It means you are aware of subtleties in your surroundings, a great advantage in many situations. It also means you are more easily overwhelmed when you have been out in a highly stimulating environment for too long, bombarded by sights and sounds until you are exhausted in a nervous-system sort of way. Thus, being sensitive has both advantages and disadvantages. In our culture, however, possessing this trait is not considered ideal and that fact probably has had a major impact on you. Well-meaning parents and teachers probably tried to help you "overcome" it, as if it were a defect. Other children were not always as nice about it. As an adult, it has probably been harder to find the right career and relationships and generally to feel self-worth and self-confidence. 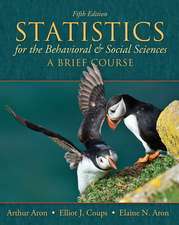 This book provides basic, detailed information you need about your trait, data that exist nowhere else. It is the product of five years of research, in-depth interviews, clinical experience, courses and individual consultations with hundreds of HSPs, and careful reading between the lines of what psychology has already learned about the trait but does not realize it knows. 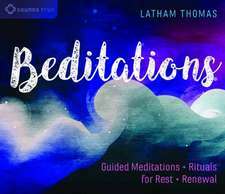 In the first three chapters you will learn all the basic facts about your trait and how to handle overstimulation and overarousal of your nervous system. 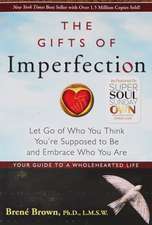 Next, this book considers the impact of your sensitivity on your personal history, career, relationships, and inner life. It focuses on the advantages you may not have thought of, plus it gives advice about typical problems some HSPs face, such as shyness or difficulty finding the right sort of work. It is quite a journey we'll take. Most of the HSPs I've helped with the information that is in this book have told me that it has dramatically changed their lives--and they've told me to tell you that. I have found that HSPs benefit from a fourfold approach, which the chapters in this book will follow. 1. Self-knowledge. You have to understand what it means to be an HSP. Thoroughly. And how it fits with your other traits and how your society's negative attitude has affected you. Then you need to know your sensitive body very well. No more ignoring your body because it seems too uncooperative or weak. 2. Reframing. You must actively reframe much of your past in the light of knowing you came into the world highly sensitive. So many of your "failures" were inevitable because neither you nor your parents and teachers, friends and colleagues, understood you. Reframing how you experienced your past can lead to solid self-esteem, and self-esteem is especially important for HSPs, for it decreases our overarousal in new (and therefore highly stimulating) situations. Reframing is not automatic, however. That is why I include "activities" at the end of each chapter that often involve it. 3. Healing. If you have not yet done so, you must begin to heal the deeper wounds. You were very sensitive as a child; family and school problems, childhood illnesses, and the like all affected you more than others. Furthermore, you were different from other kids and almost surely suffered for that. HSPs especially, sensing the intense feelings that must arise, may hold back from the inner work necessary to heal the wounds from the past. Caution and slowness are justified. But you will cheat yourself if you delay. 4. Help With Feeling Okay When Out in the World and Learning When to Be Less Out. You can be, should be, and need to be involved in the world. It truly needs you. But you have to be skilled at avoiding overdoing or underdoing it. This book, free of the confusing messages from a less sensitive culture, is about discovering that way. I will also teach you about your trait's effect on your close relationships. And I'll discuss psychotherapy and HSPs--which HSPs should be in therapy and why, what kind, with whom, and especially how therapy differs for HSPs. Then I'll consider HSPs and medical care, including plenty of information on medications like Prozac, often taken by HSPs. At the end of this book we will savor our rich inner life. As knowledge about my trait changed my life, I decided to read more about it, but there was almost nothing available. I thought the closest topic might be introversion. The psychiatrist Carl Jung wrote very wisely on the subject, calling it a tendency to turn inward. The work of Jung, himself an HSP, has been a major help to me, but the more scientific work on introversion was focused on introverts not being sociable, and it was that idea which made me wonder if introversion and sensitivity were being wrongly equated. With so little information to go on, I decided to put a notice in a newsletter that went to the staff of the university where I was teaching at the time. I asked to interview anyone who felt they were highly sensitive to stimulation, introverted, or quick to react emotionally. Soon I had more volunteers than I needed. Based on the interviews (forty for two to three hours each), I designed a questionnaire that I have distributed to thousands all over North America. And I directed a random-dialing telephone survey of three hundred people as well. The point that matters for you is that everything in this book is based on solid research, my own or that of others. Or I am speaking from my repeated observations of HSPs, from my courses, conversations, individual consultations, and psychotherapy with them. These opportunities to explore the personal lives of HSPs have numbered in the thousands. Even so, I will say "probably" and "maybe" more than you are used to in books for the general reader, but I think HSPs appreciate that. Deciding to do all of this research, writing, and teaching has made me a kind of pioneer. But that, too, is part of being an HSP. We are often the first ones to see what needs to be done. As our confidence in our virtues grows, perhaps more and more of us will speak up--in our sensitive way. 1. Again, I address the reader as an HSP, but this book is written equally for someone seeking to understand HSPs, whether as a friend, relative, advisor, employer, educator, or health professional. 2. This book involves seeing yourself as having a trait common to many. That is, it labels you. The advantages are that you can feel normal and benefit from the experience and research of others. But any label misses your uniqueness. HSPs are each utterly different, even with their common trait. Please remind yourself of that as you proceed. 3. 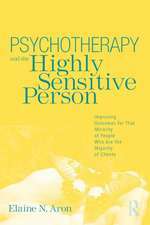 While you are reading this book, you will probably see everything in your life in light of being highly sensitive. That is to be expected. In fact, it is exactly the idea. Total immersion helps with learning any new language, including a new way of talking about yourself. If others feel a little concerned, left out, or annoyed, ask for their patience. There will come a day when the concept will settle in and you'll be talking about it less. 4. 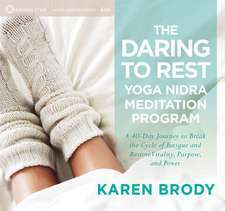 This book includes some activities which I have found useful for HSPs. But I'm not going to say that you must do them if you want to gain anything from this book. Trust your HSP intuition and do what feels right. 5. Any of the activities could bring up strong feelings. If that happens, I do urge you to seek professional help. If you are now in therapy, this book should fit well with your work there. The ideas here might even shorten the time you will need therapy as you envision a new ideal self--not the culture's ideal but your own, someone you can be and maybe already are. But remember that this book does not substitute for a good therapist when things get intense or confusing. This is an exciting moment for me as I imagine you turning the page and entering into this new world of mine, of yours, of ours. After thinking for so long that you might be the only one, it is nice to have company, isn't it? Answer each question according to the way you feel. Answer true if it is at least somewhat true for you. Answer false if it is not very true or not at all true for you. I am easily overwhelmed by things like bright lights, strong smells, coarse fabrics, or sirens close by. I have a rich, complex inner life. When I must compete or be observed while performing a task, I become so nervous or shaky that I do much worse than I would otherwise. If you answered true to twelve or more of the questions, you're probably highly sensitive. But frankly, no psychological test is so accurate that you should base your life on it. If only one or two questions are true of you but they are extremely true, you might also be justified in calling yourself highly sensitive. 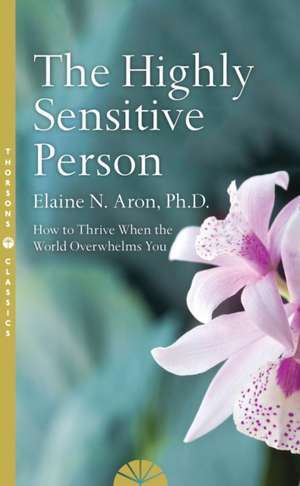 The rest of this book will help you understand yourself better and learn to thrive in today's not-so-sensitive world.